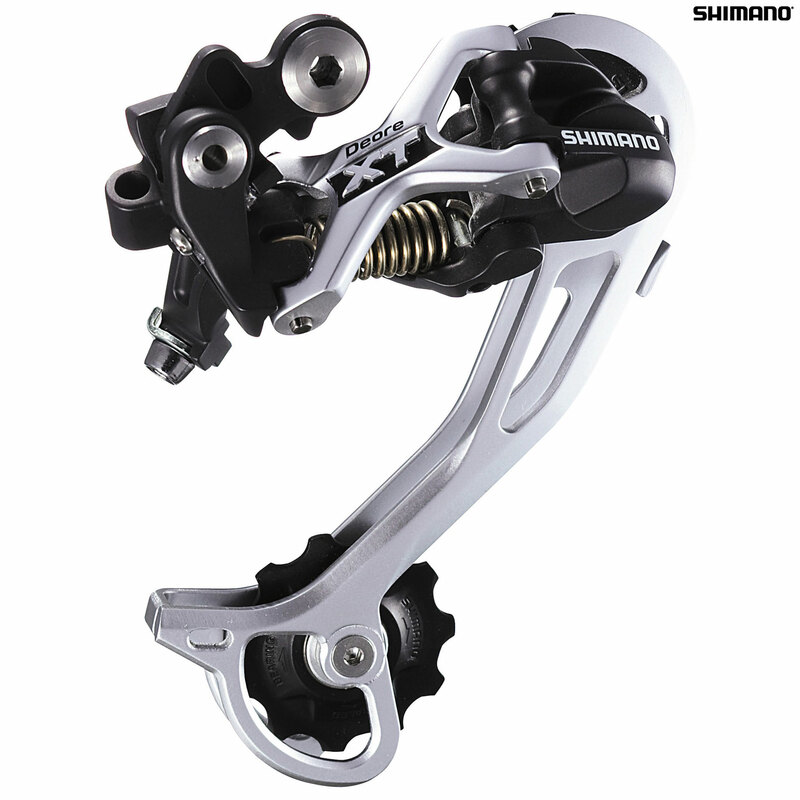 - Deore XT Shadow rear derailleur delivers reliable and precise shifting with a stiff and lightweight open design. - Shadow features a super low profile design that reduces the risk of damage from trail side hazards. - Single tension spring prevents contact with the chainstay resulting in a silent ride. - Direct cable routing prevents snagging from any trail side hazards. - Four fluorine-coated link pin bushings make this one of the slickest shifting derailleurs on the trails. - High rigidity wide outer link braces the pulley body to increase pivot joint rigidity resulting in a crisp shift. - Strong return spring for a positive shifting feel. - SGS cage for use with triple chainsets. - Mega9, 8 & 7 speed compatible. - Durable sealed bearing tension pulley. - Top normal spring for use with Rapidfire shifters. - Weight: 228 grams for SGS.